There are many benefits of increasing typing speed because it is the basic need if you search for a job in IT field or want to teach the student as a tutor the main factor is how fast you explain or complete the things. So finally lets talk about that what are the actual benefits of a fast typing speed and how it help to give extra boost in our daily life. The best benefit of a fast typing speed is to finding a better job.The govt & other private company always demand for a person who complete their work at the minimum time. If you have the knowledge but your basic skill like typing speed is not good then probably there are many chances of rejection. When most of the person go for interview the most of the companies mostly IT companies give some errors and problems in a given interval of time if you have a knowledge but your typing speed is not good and if you are not able to complete the task in given interval of time then there are many chances that company reject you. The govt & private sector company search those people who has proper knowledge and satisfy them with a proper work in given interval of time. In govt and private job the 25 to 30 wpm speed is require for any field related to IT job whether you are a programmer,Data operator,software engineer and etc. The required typing speed is necessary to improve your basic skill more. In online jobs companies give you work and give you a time period to submit speed wheather you are a article writer,work as a type and etc. It is most required thing that your typing speed should be fast it effect your work and your ratings also. If you are not able to do the work in given time then it confirm that company or owner cut down your payment which you don’t want. And after completing the project the company or owner give you rating which effect your work .If your rating is good company engage with you and give you their work and the rating is not good then company avoid you and find more worker who is better than you. So it is neccessry if you want to do work as a freelancer it if you have good typing speed than it save your time which you can invest in doing more work to gain more money. It is the most important factor for a blogger or for a web developer who has their own website. Most of the blogger write their content and it take more than two hour this is due to the lack of typing speed. For a blogger time is very matter if you are writing a most less than two hour than you can wite more and more post and do more work like SEO or creating backlink in rest time. If your typing speed is good then you can provide content very fastly to your audience and gain more and more money. 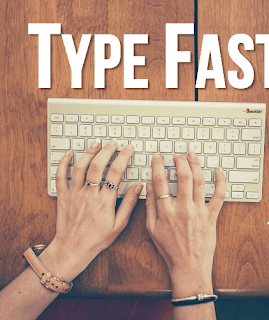 Fast typing speed is gives you extra boost to your skill and save your time. The best way to increase your typing is to do exercise but many of the people not able to increase the speed normally. 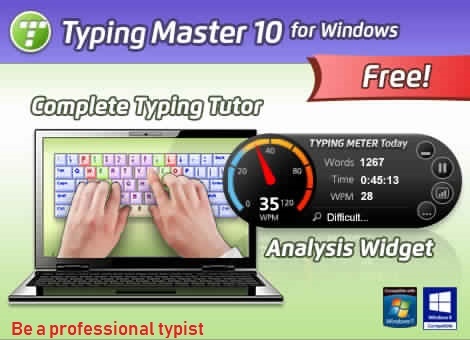 So you can use the software for increasing the typing speed called typing master. I personally use this software when I was a beginner it is very innovative app. There are many task as well as games that help’s you to increase your typing speed in short period of time. So you can use this app it probably increase your speed very fastly in a month.